Posted on December 30, 2016 by Kristen. Not as much music reached my ears this year, but that doesn’t mean my 2016 wasn’t defined by it’s musical highlights. Here are some of the songs and bands that meant the most to me in 2016. 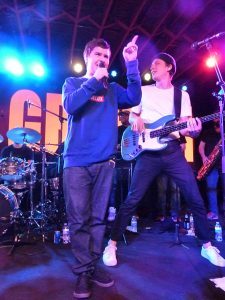 I knew going into SXSW that I was going to like Lukas Graham, but I didn’t realize at the end of the year they were going to be my #1 band discovery of 2016. They first time I saw Lukas Graham, they opened with this song. It was love at first note. When your most beloved band releases a new album, you get excited. When this is the first single they drop, giddiness ensues. 2016’s Ellipsis wasn’t exactly what I was expecting, but if it were, it wouldn’t be a Biffy Clyro album now would it? My dearest wish for 2017 is that the band will return to Los Angeles and play. 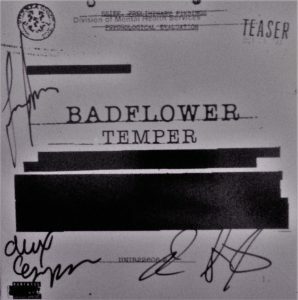 My favorite release this year was Badflower’s Temper EP. This band continues to improve and with new songs like “Drop Dead”, I don’t see this trajectory leveling off any time soon. This was my theme song for much of 2016 as I continued to endure a myriad of setbacks in my journey towards a PhD. I was not bested, however, and by the end of the year I finally (finally!) was able to defend my dissertation and graduate. Thank you Mr. Commons! 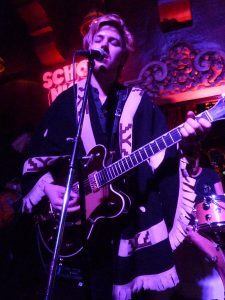 I saw Dear Boy more than any other band live this year including a particularly memorable Halloween show. 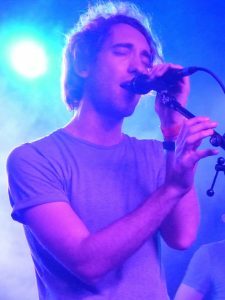 In 2016 the band released more music (Parts of a Flower EP) and “Alluria” is my favorite song from the new offerings. This song makes me smile. It brings to mind all the best parts of 2016; backstage shenanigans, time spent with friends, discovering amazing new music, and ping pong! Let’s just dedicate this song to 2016. It was a tough year for a variety of reasons, but as much as I look forward to putting the year behind me, I would also like to remember the good times…like that time I saw The Struts do a TV taping and the audience was so into it, they clapped through the entire set! 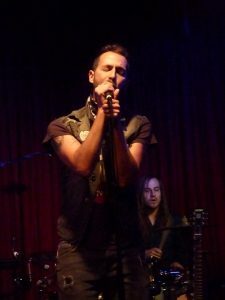 Young Rising Sons always manage to be part of my most memorable concert experiences. 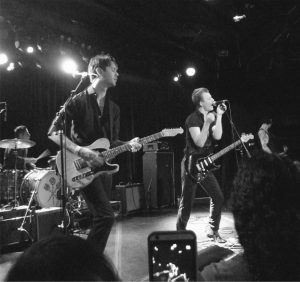 2016 brought some great shows, but one memory that is most vivid is a two-day extravagance at The Troubadour that included Young Rising Sons, The Moth & The Flame, Mainland, Dreamers, and Night Riots. All I need are times like that…a Simple Life indeed! 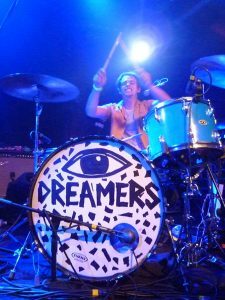 Dreamers only came into my life in 2016, but it feels like I’ve known this band for years. Their debut full length, This Album Does Not Exist, was released this year and there is not a single song on it that couldn’t be a radio hit. One of my favorites for dancing, singing, and general good times. 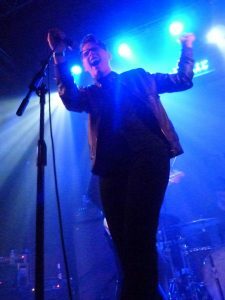 At the beginning of the year, I interviewed The Wrecks when they opened for Nothing But Thieves at The Troubadour. They were a new band, full of potential and seemingly boundless energy. I loved them! 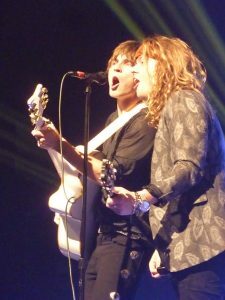 By the end of the year, they had toured the country and signed a label deal. I’d say 2016 was their year, but let’s just see where they go next! 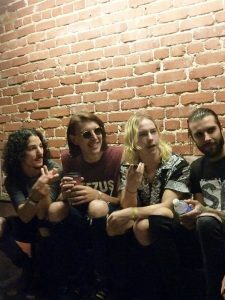 In 2016, Walking On Cars released their album, Everything This Way, and came to play LA not once, but twice! This band is an experience and their music elicits “all the feels” as a dear friend and fellow WOC fan would say. I caught this band a couple of times this year and each time, this song really stuck. I tracked it down and put it on whenever I feel a little blue. I find the song and it’s tempo changes quite hopeful. This trio of sisters opened for James Bay at Humphrey’s, one of the most unexpected and amazing show adventures of my year down in San Diego. When Noisetrade offered one of their EPs, I snatched it up and was swept away by the glorious vocal harmonies. I spent a lot of time in Starbucks this year, writing away. I was very excited when I realized one of my SXSW faves was picked up for regular rotation at my store. What speaks volumes about my love for this band is that after hearing this song over and over and over during some of the more trying times of my year, I still love it! 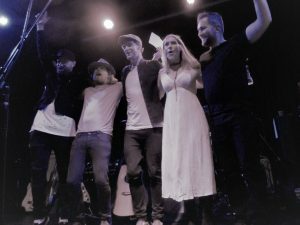 One of my favorite bands from last year came back in 2016 with another album, another Grammy nomination, and a couple killlller shows at The Troubadour. I don’t think it’s possible for this band to disappoint, especially in the live setting. Highlights of my 2016 would not be complete without mentioning time spent with these gentlemen and their music. They were one of the interviews I did for a video series with High Voltage and their 2016 album, Divides, spent a lot of time in my car stereo which probably wasn’t the best idea as songs like “Push the Pedal” don’t exactly encourage safe driving practices. This song just digs right in. 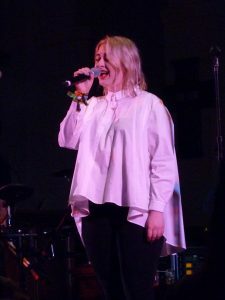 I tracked down everything I could from Lapsley after seeing her play a surprise set at SXSW and this is the track I ended up putting on repeat. If you happened to see me driving around LA singing in my car, chances are it was this song. The X Ambassadors record came through for me big time this year with songs like this and their hit, “Unsteady”. 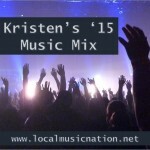 I had a particularly trying weekend where these songs were played on repeat. You cannot underestimate the healing power of music, especially when one is feeling particularly alone. If we had a category for best local discovery of 2016, Mondo Cozmo would win the prize. 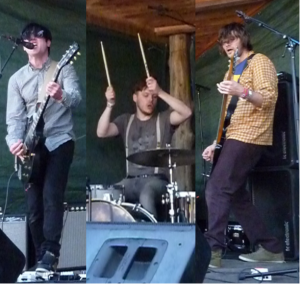 To say I missed a chance to see Dear Boy in order to see this band again…well, that should say everything. “Shine” is an anthem to take into 2017 reminding us that, “Everything will be alright if you let it go”. Posted on January 1, 2016 by Kristen. 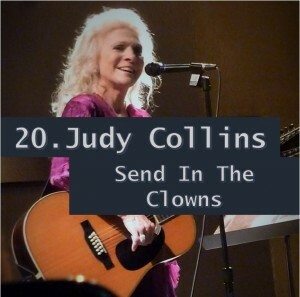 I grew up listening to Judy Collins. When I had the opportunity to see the legend perform this year, I treasured every note. She largely played the covers she has become famous for including this Sondheim classic. Just seeing Judy would have been enough but after the show I also had the opportunity to meet her. I’m fairly certain this was the most exciting celebrity interaction I had all year (and that includes sharing an inside joke with Jared Padalecki at Comic Con). I used to fall asleep to a Broadway classics album that included this song. It was always one of my favorites. 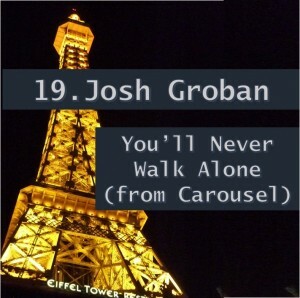 When Groban released an album full of Broadway songs, I knew this one was going to be a highlight. The entire album is amazing and it became my go to writing music. How can you listen to this song and not be inspired? Josh Groban + Broadway classics = perfection! “May all your favorite bands stay together” is certainly the wish I would depart to all of my nearest and dearest. That this sentiment has been put into song is perfection. 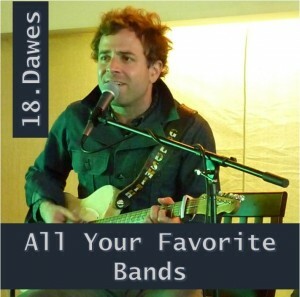 Thank you Dawes! 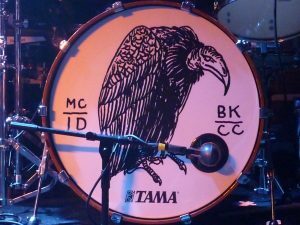 I suppose this would be a good time to RIP a few that announced (or maybe didn’t) the end this year including Funeral For A Friend, The Janks, We Met Tomorrow, Dry The River, and probably more that I’m just trying not to think about. It hurts, people! It really hurts! 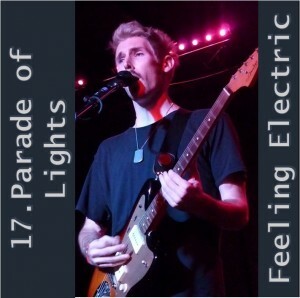 2015 marks the year that Parade of Lights FINALLY (and I mean finally!) released a full length album. I have so many memories of dancing and singing along at POL shows, but this was the first year I was easily out-danced and out-sung by throngs of new and adoring fans. I was able to see the band a few times this year including at their album release show at The Slidebar. Posted on December 31, 2015 by Kristen. I would say that Nothing But Thieves’ self-titled album is my favorite of 2015, except that it doesn’t come out in the US until the beginning of next year. 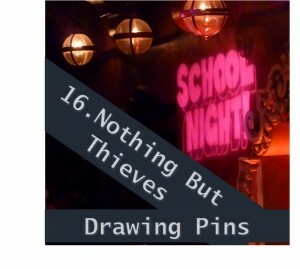 I missed their LA debut at Bardot due to a show conflict, but was very very lucky to find myself in December at an invite-only Nothing But Thieves gig at an unmarked bar on Fairfax (very LA). They played for a solid hour. It was a dream come true! 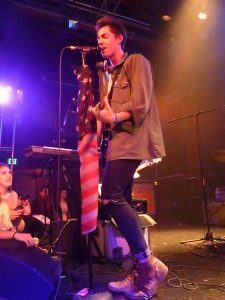 If you want to know my next favorite band coming out of Los Angeles, look no further than Badflower. 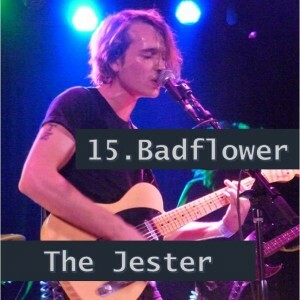 I think “The Jester” was the song that tipped me over the edge from casual fan to obsessive listening. “Is there anybody out there lookin’ out for me?!? !” indeed.